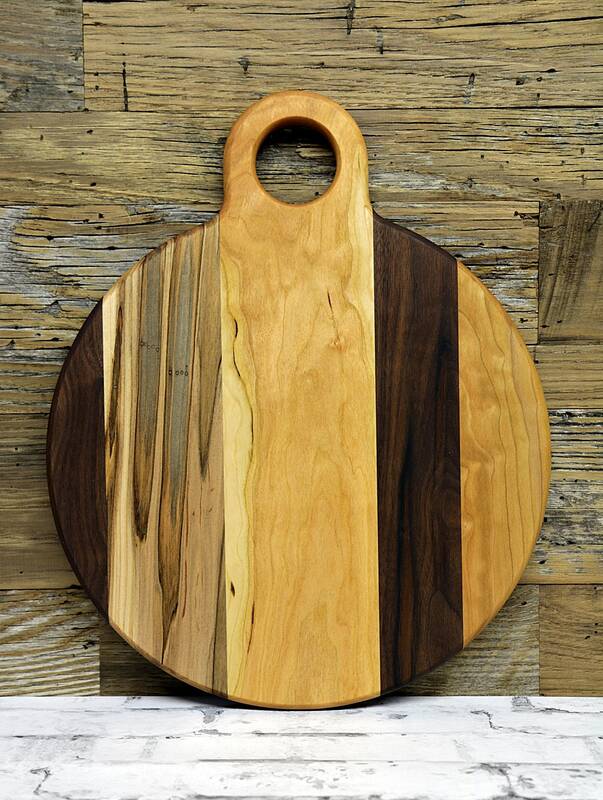 Your purchase is for a cutting board similar to the one in the above photos. Wood layout, grain pattern and colors will differ from board to board. 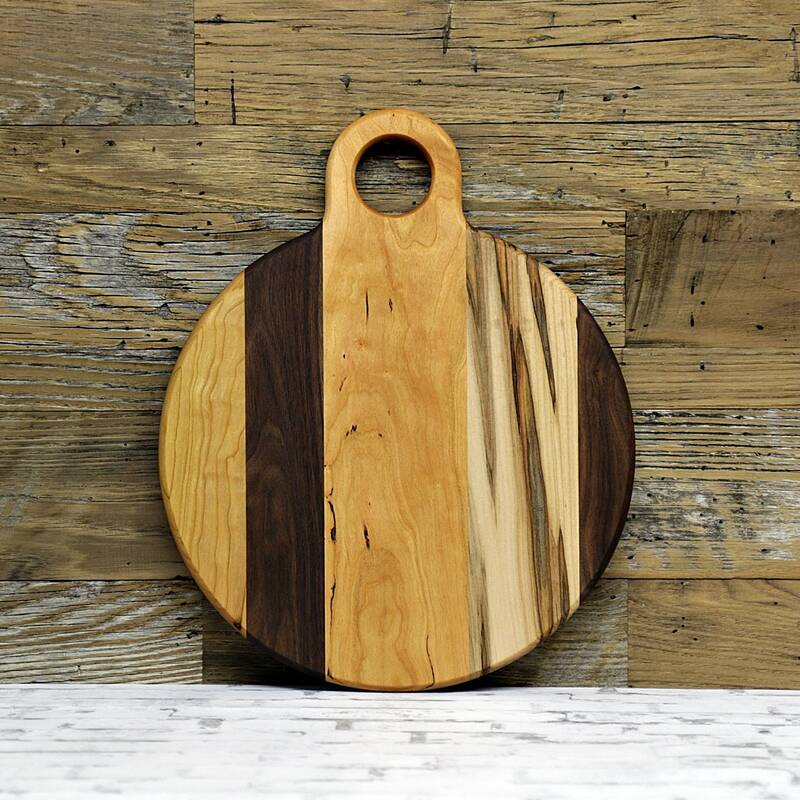 Your viewing a large, handmade cutting board, that is made from cherry, ambrosia maple & walnut. Sanded and finished to a smooth touch. 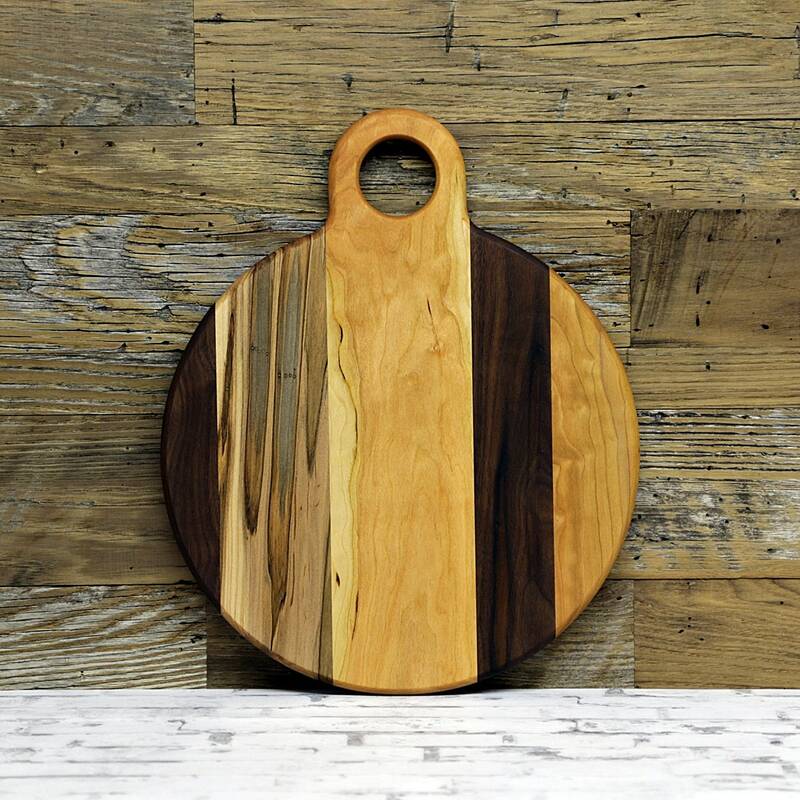 The whole board is completely rounded on the edges, and it sports a larger sized hole for hanging/display. All small natural holes in the wood have been filled. Initially I bought this as a gift. Liked it so much I kept it for myself.